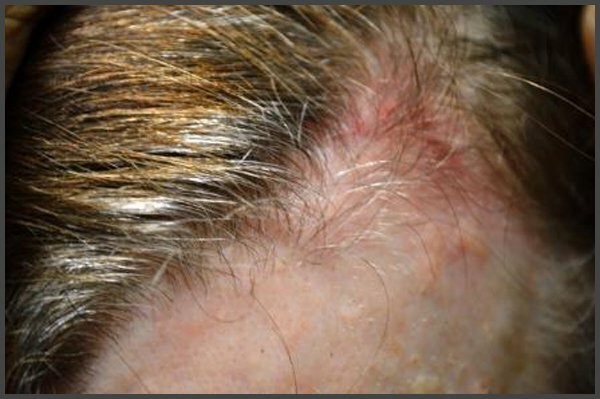 Shingles on the scalp like in the picture causes a lot of inconveniences. The first inconvenience is severe itching, irritation and soreness of the rash. The second inconvenience is unaesthetic appearance. The look really becomes worse. 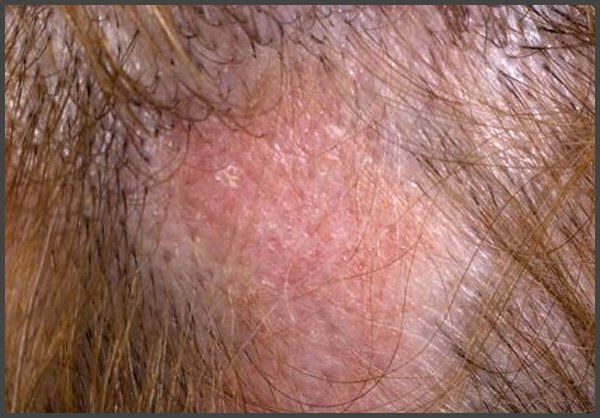 Shingles on the scalp requires timely diagnosis (in order to determine the type of pathogen) and treatment. Otherwise, secondary infection can lead to hair loss.